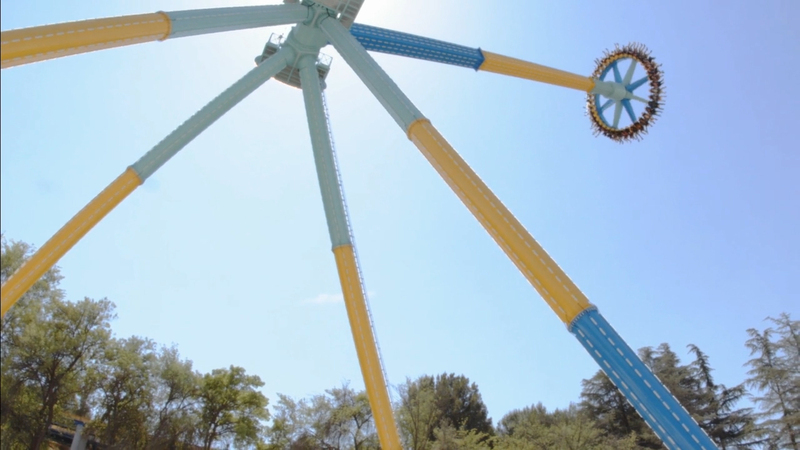 (B-Roll) Six Flags Over Georgia — the Thrill Capital of the South — announces the tallest swinging pendulum ride in the Southeast, Pandemonium, will debut in 2019. Towering a staggering 15-stories tall, this impressive giant disk will reach speeds up to 70 miles per hour, as it whips back and forth — higher and higher — giving riders an exhilarating riding experience as they soar high above the Atlanta city skyline. 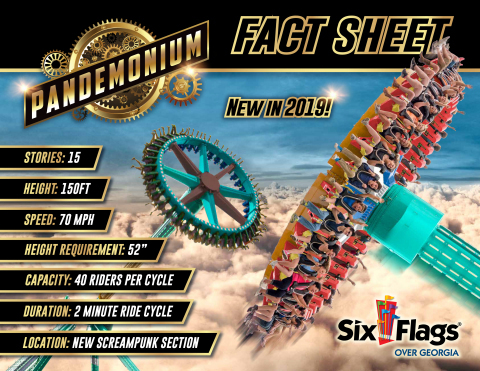 AUSTELL, Ga.--(BUSINESS WIRE)--Six Flags Over Georgia — the Thrill Capital of the South — today announced the tallest swinging pendulum ride in the Southeast, Pandemonium, will debut in 2019. 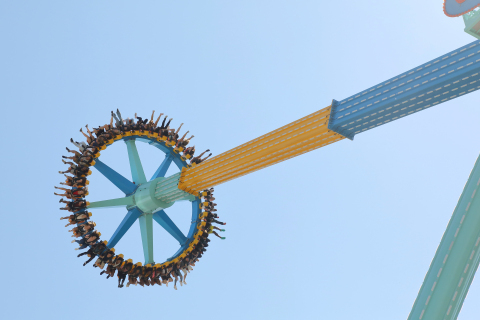 Towering a staggering 15-stories tall, this impressive giant disk will reach speeds up to 70 miles per hour as it whips back and forth — higher and higher — giving riders an exhilarating riding experience as they soar high above the Atlanta city skyline. 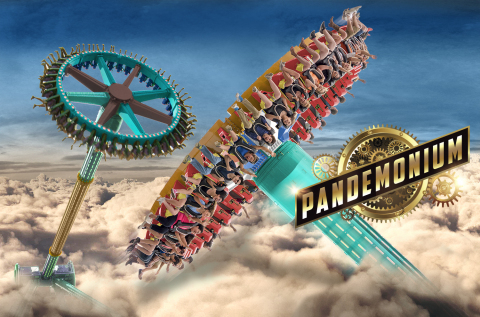 Pandemonium is an oversized pendulum ride that will send riders on a dizzying journey to extreme heights; delivering epic, high-flying thrills for guests of all ages. A feeling of weightlessness while flying an exhilarating 147 feet in the air. 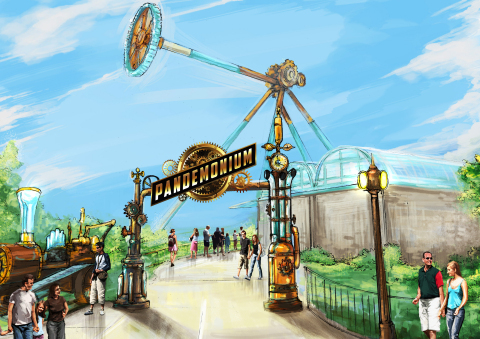 Pandemonium will be the centerpiece of the park’s new ScreamPunk-themed area, featuring revamped food locations and shopping experiences in 2019. ScreamPunk is a Six Flags twist on the popular Steampunk subgenre, combining science fantasy with 19th century industrial steam-powered machinery. The ScreamPunk section opens in March. Pandemonium will debut in late spring, 2019. Six Flags Over Georgia is also announcing the start of 2019 Season Pass sales with its special Flash Sale through Labor Day weekend featuring the best deal of the year — saving over 70% on a 2019 Pass. August 30 through September 3, guests will receive a free upgrade to a Gold Combo Season Pass with every Pass purchased. Gold Combo Season Passes include admission to Six Flags Over Georgia and Hurricane Harbor, Six Flags White Water, and any other Six Flags theme park, as well as free parking and special admission offers for friends. During the Flash Sale guests can also join the Six Flags Membership program for 60% off the full Season Membership price and receive three free bonus months. Six Flags Membership includes all of the benefits of Season Pass plus over 50 additional benefits such as unlimited soft drinks, preferred parking, walk-on passes for rides, and exclusive waterpark seating. Members can also participate in Six Flags Membership Rewards, a new loyalty program that allows guests to earn valuable prizes just for riding rides, seeing shows, and having a great time at the park. Six Flags Entertainment Corporation is the world’s largest regional theme park company and the largest operator of waterparks in North America, with $1.4 billion in revenue and 25 parks across the United States, Mexico and Canada. For 57 years, Six Flags has entertained millions of families with world-class coasters, themed rides, thrilling water parks and unique attractions. For more information, visit www.sixflags.com. Tallest swinging pendulum ride in the Southeast to open at Six Flags Over Georgia. Pandemonium will anchor new ScreamPunk-themed section in 2019.